Donald Glover’s rap career under the moniker Childish Gambino may seem short to most, but he’s been at it for quite a few years now. With his latest release, a free mixtape clocking in at an hour’s worth of material, it’s easily his most ambitious and controversial yet. Gambino’s releases, particularly his breakout 2011 EP, have been filled with pop culture references geared towards hipsters mixed with a personal struggle about not fitting in. After the release of Camp late last year, critics started questioning when, and if, the rapper could find different subject matter to match his insane flow. Royalty is that answer. Only it was met with even harsher criticism for being too different; I’ve read and heard that Childish Gambino’s music was now simply “too black”—whatever that means. The difference between this mixtape and his previous releases is that there isn’t an honest thread between each of the songs. It’s filled with guest rappers that take away from the modern Renaissance man’s unique perspective. But it’s also fresh to hear Childish rap alongside some of the most influential rappers, like Wu Tang Clan members RZA and Ghostface Killah, as well as some of the hottest hitmakers in the game (Schoolboy Q, Bun B and Danny Brown). Lyrically, Gambino uses the same techniques to hit you with impact. He’s probably one of the most intelligent rappers around and proves it with puns and wordplay mixed with scholarly references. Can you name another rapper who drops Norman Rockwell and Jim Crow into a line? The peak of the mixtape comes halfway through with a track featuring the previously mentioned RZA and the Hypnotic Brass Orchestra. The HBO lays a rhythm as inspiring as something out of the Harlem Renaissance for the rappers to flow over, and both do not disappoint. 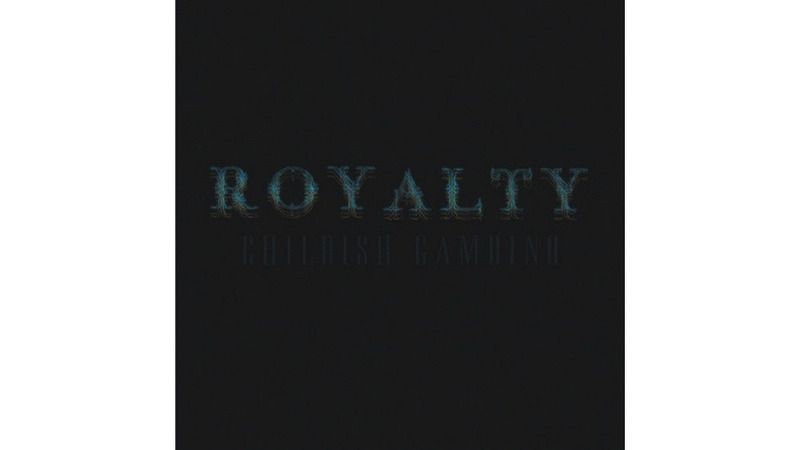 “American Royalty” doesn’t feature any over-the-top punchlines and puns, but it strictly focuses on Gambino’s natural ability to flow within the beat and keep listeners on their toes. If “American Royalty” is the valedictorian of the album, “Black Faces” (featuring Nispey Hussle) and “We Ain’t Them” (one of the rare solo tracks) are right there alongside the track. Both touch on important topics, but also show the childish side of Childish. “Black Faces” features the rather sexual innuendo of “Leave her face covered in Coast Guard” that could have found its way into previous songs. Meanwhile, “We Ain’t Them”—which truly does kick off the mixtape after a nine-second introduction track—is a raw thank you to Atlanta, his crew, New York City and everyone who stood by him. These songs may be different than his previous efforts, but if you’re looking for that older Gambino vibe, check out “Bronchitis” and “One Up” (featuring his brother Steve G. Lover). The production on the latter is a little off at times, which hinders it slightly, but you can tell Donald Glover the producer was trying new things—which, after all, is what a mixtape is for. Some of the things he tried—like spilling his guts on “Wonderful,” the most honest and gut-wrenching track he has ever released—worked extremely well, but then there were subtle disappointments along the way that reminded me this was an experiment, that Royalty wasn’t a full-fledged release, but was something to whet Childish Gambino’s appetite as an artist and ours as listeners. With that in mind, he succeeded in stirring up discussion and left a lot of us satisfied until he puts out another official album. Luckily Royalty ain’t no chump change and does carry plenty of substance.